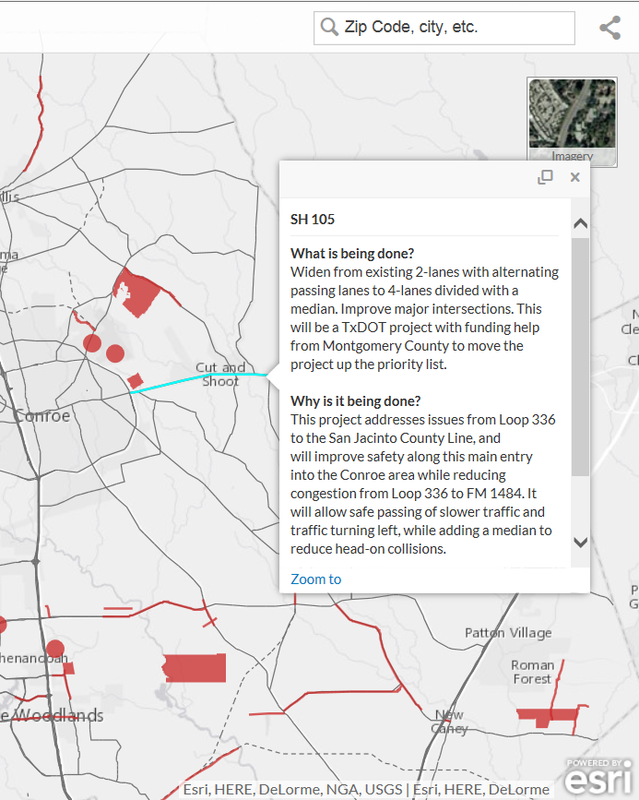 Explore our Road Bond Interactive Map! “While we cannot tell our citizens how to vote on the May 9, 2015 election for this proposed road bond, we can provide information so that they know what projects they will be voting on,” Judge Doyal said. County commissioners, based on the recommendations from a citizen’s road bond committee, earlier this year called an election for voters to consider a proposed $350 million road bond, consisting of 77 projects throughout the county. Election Day is May; early voting starts Monday, April 27. 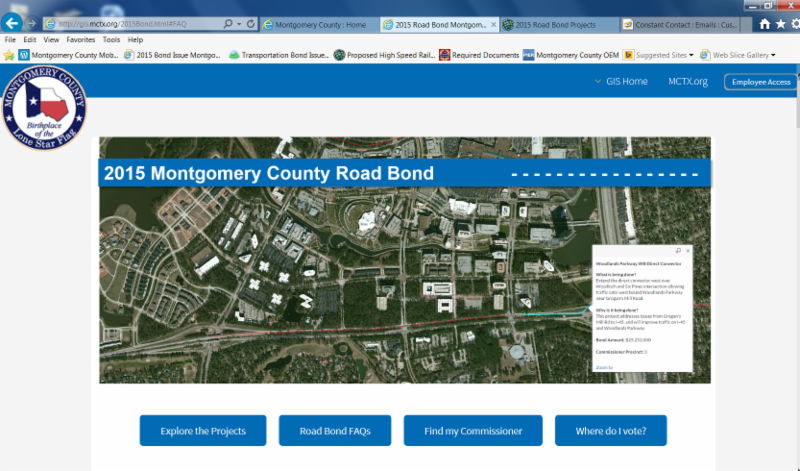 Find answers to questions on the 2015 Road Bond. © Copyright 2014 Office of Montgomery County Judge. All rights reserved.